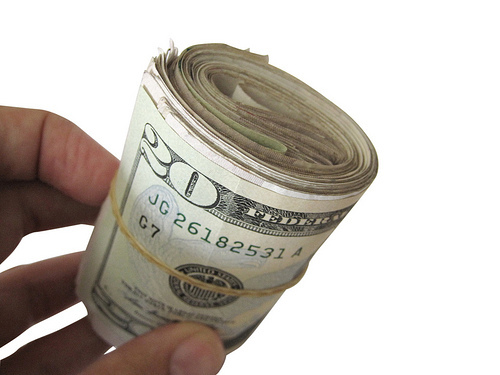 Monetization using Google’s Adsense is far trickier than you might have imagined. You might think that since Adsense is a Google product, then they would certainly be biased towards pages that carry such ads. However, in reality correlation studies have shown that the more space Adsense ads occupy on a page, the lower that page will tend to rank. Of course, this doesn’t mean that Google is picking on their own ad service, but that it is merely consistent with how search engines (and users) view paid links. The logic behind this is very simple. People tend to shy away from pages that have too much paid ads, as too much paid ads displayed suggest a spammy site. Since users and Google alike do not like too much paid links on a site, what you should be conscious of as a publisher is to walk the fine line between monetizing your site and having it be considered as nothing more than a haven of paid links with nothing more substantial to offer. You can do this by being strategic in the placement of ads so as to minimize the use of ads as much as possible, yet ensuring that they get maximum exposure. You should also at least put some effort into making sure that the ads harmonize with the page’s look, so that even as they stand out enough to draw the eye (and clicks), they won’t end up and eyesore. In the end, whether you have Adsense on your site, or use another ad service, following the above advice will help you in the long run. This entry was posted in Adsense, Advertising, Google, Monetization, SEO on October 17, 2011 by Hannah. Marketing on the web is one of the easiest and most effective marketing solutions you can undertake to promote your web site, your new blog, a product you’re selling or a service you’re offering. The benefits of web marketing are undeniable. The marketing efforts I’ve made on my blog has paid off in terms of more readers, which has earned me more money through my Google Adsense income. One of the newest marketing tools I’m using now is Twitter. Yes, the microblogging platform that’s taking the world by storm is now also used as a part of a web marketing campaign. And it’s really no surprise why it’s considered an effective marketing solution. With Twitter, your message is transmitted immediately to your followers, who are specifically targeted to be more responsive to your branding message. The explosive growth of Twitter also means you’re exposing more and more people to your message. I tell you, the moment you use Twitter as part of your web marketing strategy, you’ll never look back. One of the best ways to take advantage of what Twitter can do to market your web site, blog, product or service is by employing an easy-to-use marketing tool that automates Twitter’s functions for you. One of the most powerful tools in the market today is Tweet Whistle, a powerful Twitter marketing solution that makes it easy for you to get more targeted followers and even automate your Twitter posts, among other features that, frankly, will make Twitter marketing so much easier. What’s more, it’s one of the most affordable solutions in the market. You can try out the Tweet Whistle app through a free trial download. Just visit tweetwhistle.com. I’m using Tweet Whistle right now and I’ve experienced first-hand how effective it is. It’s that simple and what you’ll win will be so useful for your marketing efforts. This entry was posted in Adsense, Advertising, Marketing, Social Networking and tagged Marketing, Tweet Whistle, Twitter on September 29, 2009 by Jeff. 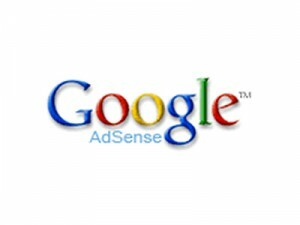 For those of you that frequent this blog, you might have noticed that AdSense has almost all but disappeared on this site. It might still show up from time to time, but I have been wanting to move away from AdSense on this site for a little while now as the CPM rate I was getting from their ads was lower than I would like to see to continue to build my business. Google is great at monetizing high traffic sites or being a great starting point for bloggers with low traffic, and I was receiving a check each month, but I wanted to find something better for the niche that this site covers. The advertisements that Google showed here weren’t of the highest quality, nor did they seem to interest any of my visitors, and as such, I was paying writers far more than Google was able to bring in and that is never a good way to run a business. Thankfully, I have been able to fill my advertising inventory for the most part and so AdSense is now being relegated to my other blogs I am building. I owe a large part of this change to the advertising sponsors I have in the sidebar, so please take a minute to check them out, as they continue to support my writing of this blog. With some time, effort, and most importantly, research, you too can find ways to monetize your sites slightly better. I will be talking more about how I monetized Xfep effectively soon, and why I can’t do the same for the other blogs I am currently running. This entry was posted in Adsense, Advertising, Site News on May 11, 2008 by Admin. If you have been waiting to get a slice of Google’s video advertising units, then your wait is almost over, at least if you live in the UK, Ireland, or like me, Canada. Following their success in the U.S., we’re rolling out video units over the next several days to English-language publishers in the UK, Ireland, and Canada. If you’re not already familiar with video units, they’re embedded, customizable video players that can enrich your site with relevant video content while enabling you to earn extra revenue from the relevant, non-intrusive ads that accompany the videos. With this new launch, publishers in the UK, Ireland and Canada will be able to show videos from our YouTube content partners and choose those videos by category, individual YouTube partner, or have video automatically targeted to their site. Based on publisher feedback, we’ve also just added a feature which lets you choose individual videos to be displayed in your video units. I am not sure how well these video units do, but I bet a bunch of people will be using them over the course of the next few months. Are you excited about this release, or if you live in the States, do we, in Canada, have a reason to be excited? This entry was posted in Adsense, Google on November 20, 2007 by Admin.